Two weeks ago, SimpleGeo raised a $1.5 million seed round from just about every big angel investor in Silicon Valley. Not surprisingly, they’re already putting that money to good use. Before the funding, SimpleGeo was a team of four including co-founders Matt Galligan and Joe Stump. As of today, they’re now 7, with the arrival of two new hires: Zooko (yes, that’s what he’s known as), a peer-to-peer hacker best known for his work on Mojo Nation, a precursor to BitTorrent. 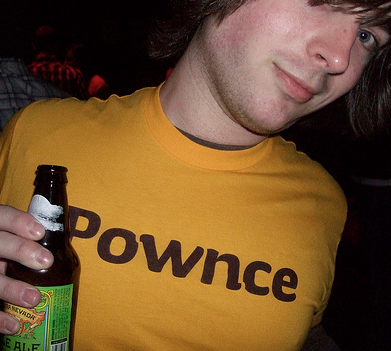 And Mike Malone, an engineer at Six Apart who was also instrumental in the building of Pownce, the since-deadpooled social messaging service. You can read more about Zooko on his Wikipedia page. But basically, he’s done plenty of things that have earned him a lot of respect in the tech world. (And the fact that he has his own Wikipedia page should say something.) Galligan notes that they’re thrilled to have him. He’ll be working from the company’s Boulder, CO headquarters. The addition of Malone is vital to SimpleGeo as he’ll basically be the face of the company in Silicon Valley, Galligan says. Malone, who lives in San Francisco, will be the only employee not working in Boulder with the rest of the team. Instead, he’ll remain here and will help out whenever SimpleGeo signs a deal with one of the many location-based startups launching in the Valley. He’ll also be doing meetups and going around on the speaking circuit in the area to help spread the SimpleGeo name. He’ll start January 1. At Six Apart, Malone was doing application development for the TypePad platform, building apps that run on top of the TypePad API. He joined that team after Six Apart acquired Pownce almost exactly one year ago. Given that, the timing of his departure shouldn’t be that big of a surprise. Once the funding was in place, SimpleGeo started looking for a “fantastic Python developer,” and Stump, who previously worked at Digg with Kevin Rose, (one of the co-founders of Pownce, and an investor in SimpleGeo — yes, it’s a tangled web), knew that Malone was their guy. And obviously, the love is mutual. “SimpleGeo is awesome because location is really useful, but really hard. It requires a lot of resources to do right, and often it’s not your core business. And SimpleGeo has built out an amazing infrastructure that makes location simple and easy. And the team is really amazing,” Malone says. Alongside the announcement of the new team members, SimpleGeo is also starting the distribution of its beta keys. Galligan notes this will be very limited at first, but that they’ll quickly be expanding it (sign up on their main page). With access to SimpleGeo, you get access to the between 2.5 and 3 billion points that are already in their database, Galligan says. This includes information from Twitter, Flickr, BrightKite, every geocoded Wikipedia entry, and weather data from NOAA. He also notes that Foursquare data will be going live shortly. GeoAPI, another player in the space, recently announced Foursquare data implementation (among others), but lacks some of the other data points. Both participated in our Realtime Crunchup last month. Galligan also notes that he and Stump expect to expand the SimpleGeo team to 11 people by February. Yeah, location is very hot right now.